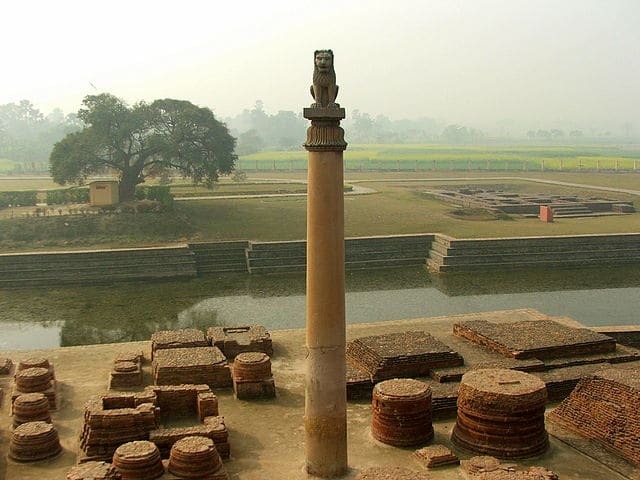 One of the many pillars that were erected by Ashoka, the Ashokan Pillar at Vaishali is a prominent structure of historical, religious and mythological importance. Identified by Alexander Cunningham, the pillar holds great significance for Buddhists. Also being a historical monument, the Ashokan pillar attracts a lot of tourists, mostly those who show interest in archaeology. Generally, the pillars bear inscriptions by King Ashoka, but the one in Vaishali does not contain any such inscriptions. It is possibly the most popular tourist spot of Vaishali, and a lot of visitors flock about this sculpture. Following the teachings of Saodharma Pundarika Sutra, the Vishwa Shanti Stupa was built in Vaishali as a symbol of peace and tranquility. 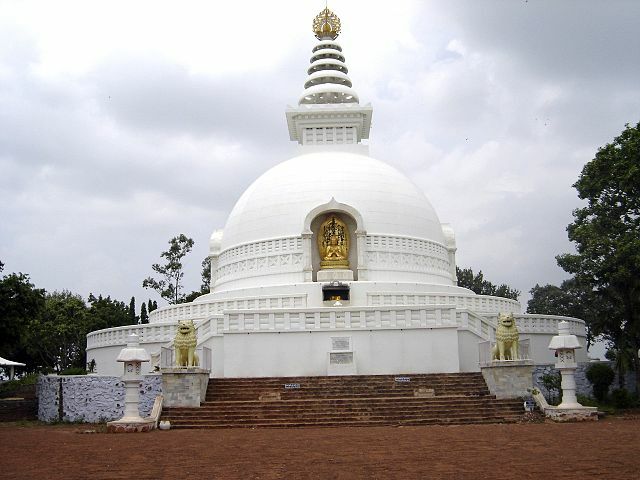 There are artifacts across the structures, which pay tribute to Lord Buddha. It was erected by Nipponzan Myhoji. The edifice is visited by locals and tourists alike, adding charm to the city of Vaishali. 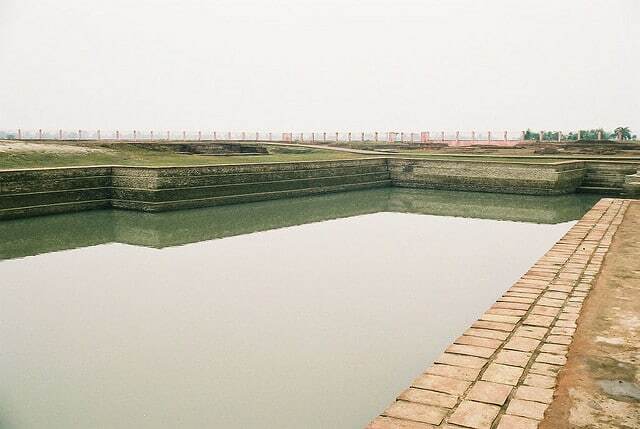 Known to be one of the most beautiful spots of Vaishali, Abishek Pushakaran is filled with water that is known to be sacred. It is believed that this water was used for the coronation of the previous kings of Vaishali, and even the elected representatives bathed in this sacred water to get blessings. Along with being a sacred destination, this spot also offers a great view, and tourists are attracted to it. Known as the ancient parliament house, Raja Vishal ka Garh is a huge dome spanning about a kilometre, containing looming walls about 2 metres high. A moat surrounds the corners of the towers, and the building is known to have been King Vishal’s parliament. King Vishal is said to be of the lineage of Suryavanshi kings, of that of King Ram. King Vishal is known as a democratic king who brought about a lot of changes in the administration of his kingdom. The Garh is quite an attraction for tourists and history enthusiasts. This temple holds a lot of religious and historic significance, and devotees are found here in a large number. Various Hindu gods and goddesses are present in this temple, and all are worshipped as a whole. Not only Hindus, but people from other religions also visit this temple due to its mythological importance. A stone edifice of the medieval era, the Bawan Pokhar temple is situated beside a tank. The idols, including the prominent Shivalinga, are made of black basalt, rendering a beautiful view of the carvings. It is a recommended spot to visit, whether or not one is religious, since it holds great cultural and historical importance. A pilgrimage for Jains, Kundalpur is a historic location close to Vaishali. It is known for housing the statue of Bade Baba (Adinath). Vaishali is also believed to be the birthplace of Lord Mahavir, who apparently spent about 22 years in Vaishali. This place holds great significance for the Jain devotees, who visit to pay their respects and worship the pilgrimage spot dedicated to Lord Mahavir. This temple is situated in Hajipura, a city close to Vaishali. Ramchaura Mandir is dedicated to Lord Ram and it is said that the temple has been there since the time of Ramayana. Every year on the occasion of Ram Navami, the temple attracts a number of devotees. Lord Ram is said to have stayed in the ancient times at this spot, due to which it has gained immense popularity amid devotees and tourists alike. 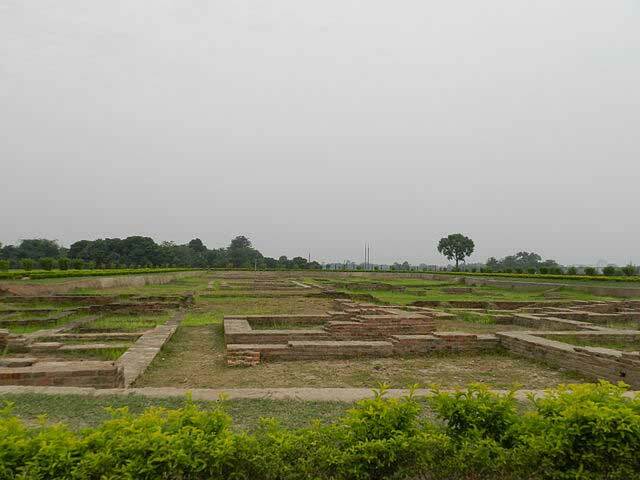 Vaishali is a small, hidden town of Bihar that consists of a lot of historical and mythological spots that one can visit. Bihar itself is an interesting and adventurous place to visit, and towns like Vaishali only add to its charm and popularity.